“JEWS RULE THE WORLD BY PROXY,” said the Malaysian prime minister, Mahathir Mohamad, in a speech to Indonesian heads of state in 2003, “they get others to die for them,” he emphasized. “Jews control America, no matter which government comes into power, whether Republican or Democratic, whether Barack Obama or George Bush. The control of America, just like the control of most western countries, is in the hands of Jewish money.” View Entire Story Here. Outraged by the remarks, the South African Jewish Board of Deputies filed a complaint against Hajaig with the South African human rights body. OUTRAGE TOWARDS ANYONE WHO PROFFERS VALID CRITICISM of Jewish affairs is the continual accepted response by world Jewry. But for a Gentile to be “outraged” by Jewish apartheid in Israel, Jewish genocide in Gaza, Jewry’s applause of Gazan genocide, & Jewish control of American & European political life, is to be slandered, vilified, and to have his or her job and life in jeopardy. 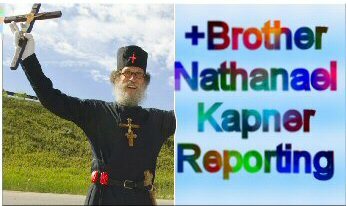 The latest victim of Jewry’s vilification came from the pen of Abraham Foxman of the Anti Defamation League (ADL) on January 23, 2009. 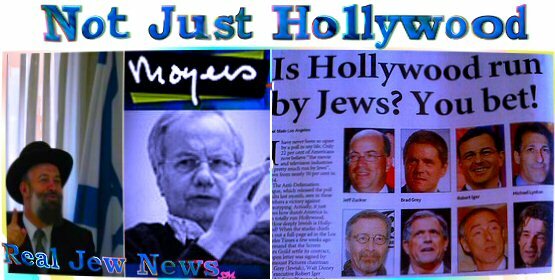 Labeling the highly respected journalist Bill Moyers as an “Anti Semite” simply because Moyers censured Israel for its massacre of Palestinian children, Foxman did not blush to blow his putrid Judaic smoke into the face of this high profile Gentile figure. And the latest human target of Jewish “outrage,” Bishop Richard Williamson, was bloodied with spiteful arrows by the entire global Jewish community beginning on January 24, 2009. Jews were offended when Williamson, a ‘holocaust denying’ bishop, was brought back into the Vatican fold after being excommunicated. THE PHRASE, ‘THE JEWISH QUESTION,’ originates from the title of an 1843 book, “Die Judenfrage,” by the German historian, Bruno Bauer. Bauer argued that Jews could achieve political emancipation only if they relinquished their religious consciousness. Bauer posited that since political emancipation requires a secular state, it does not leave any “space for social identities” such as religion. But history and evolving social issues have proven Bauer quite wrong. Though political emancipation of the Jews did come about through Jewish secularism, in the end, Jews still clung to their “social identity” through attachment to their historical “religious” roots. The Jewish Question today goes far beyond the issue of religion. The ‘Jewish Question’ that the entire world is now challenged with has to do with the tremendous power that the Jews — a self-conscious elitist group — wield in the social & political arena, globally. “The Holocaust assumed an important role in the social-cultural life of America and western Europe owing to a phenomenal increase of Jewish influence and power. The Holocaust Remembrance campaign is not so much a source of Jewish-Zionist power as it is an expression of it. For this reason, debunking the Holocaust will not shatter that power.” View Entire Story Here. But what will “shatter” the power that the Jews wield over us in our social & political life? 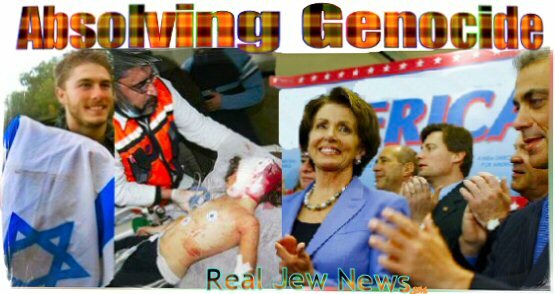 How is it that only 5 Congressmen opposed Resolution HR 34 passed by the US Congress on January 9, 2009, absolving the Jews of Israel of committing crimes against humanity in their recent invasion of Gaza? The entire world stands outraged by Israel’s genocide of Gazan innocents, yet US politicians seem to have no conscience whatsoever. Why? 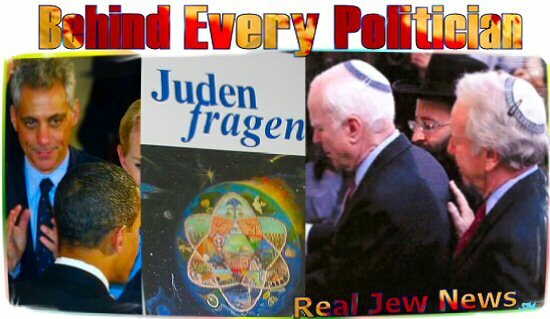 It is because Jews with their money wield control of the careers of US politicians. 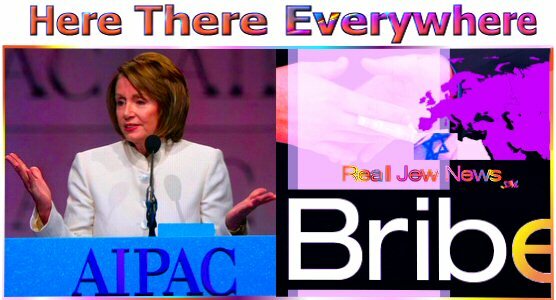 If a Senator or Congressman does not cater to the Jewish Lobby, chiefly represented by AIPAC which bribes and keeps a running profile on all politicians, their careers will be terminated in the next election. Lying, cheating, and the possession of capital does not make this obsolete part of humanity invulnerable. On the contrary, if Gentile people will awake, and this, alas, is going to take some time after being indoctrinated with Jewish fairytales for so long, the time to pay back will come. And then beware Jews, the years of 42-44 will look like a holiday camp. Jews are the way Hitler said and they are murdering and shady undertaking any form of foulness. Joseph Goebbles was intelligent and his propaganda correct. The ”Jooish” parasites need to leave Palestine and slither back to wherever it is they came from. They don’t feel the LEAST BIT OF SHAME for their hypocrisy?!? I mean they infest other nations’ political-positions like termites, and then spread hate upon the citizens for wanted to build a wall after too much “multiculturalism”. Then they defend their own walls around THEIR nation and their own laws against allowing their own daughters to be exposed to “multiculturalism”.